FC Barcelona put the Copa del Rey to one side on Thursday, as their focus shifted to this weekend's meeting with Real Betis at the Benito Villamarin (Sunday, 8:45pm CET). The game marks the start of the second half of the LaLiga season, with Barça leading the way in the competition. The first match against Betis this term, which opened the 2017/18 campaign, ended 2-0 at the Camp Nou. The training session saw the players put through the paces on Pitch 3 of the Ciutat Esportiva. Luis Suárez, Messi and Jordi Alba sat out the session with coach Ernesto Valverde's permission. 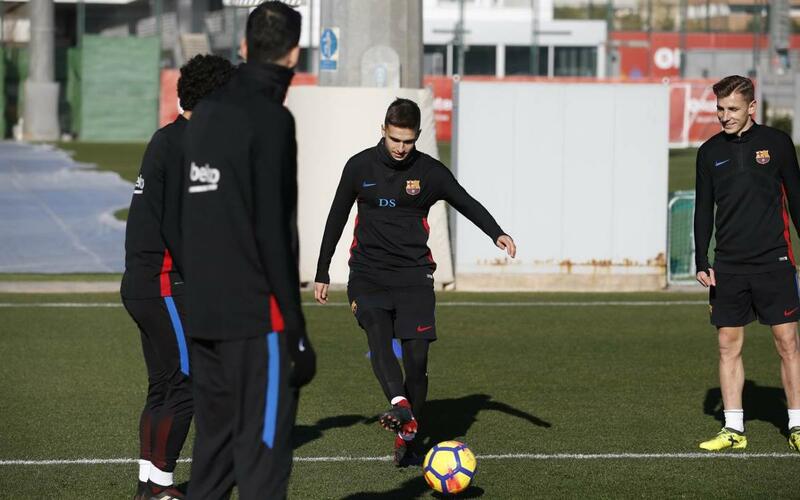 Joining the first team squad were Barça B's Aleñá, Ezkieta, Palencia, Fali, David Costas, R. De Galarreta and Cucurella.